In video gaming parlance, an achievement, also sometimes known as a trophy, badge, award, stamp, medal, challenge or in game achievement, is a meta-goal defined outside a game's parameters. Unlike the in-game systems of quests, tasks, and/or levels that usually define the goals of a video game and have a direct effect on further gameplay, the management of achievements usually takes place outside the confines of the game environment and architecture. Meeting the fulfillment conditions, and receiving recognition of fulfillment by the game, is referred to as unlocking the achievement. Achievements are included within games to extend the title's longevity and provide players with the impetus to do more than simply complete the game but to also find all of its secrets and complete all of its challenges. They are effectively arbitrary challenges laid out by the developer to be met by the player. These achievements may coincide with the inherent goals of the game itself, when completing a standard milestone in the game (such as achievements for beating each level of a game), with secondary goals such as finding secret power-ups or hidden levels, or may also be independent of the game's primary or secondary goals and earned via completing a game in an especially difficult or non-standard fashion (such as speedrunning a game (Example: Braid) or playing without killing any enemies (Examples: Deus Ex: Human Revolution and Dishonored), playing a certain number of times, viewing an in-game video, and/or beating a certain number of online opponents. Certain achievements may refer to other achievements - many games have one achievement that requires the player to have gained every other achievement. Unlike secrets, which traditionally provided some kind of direct benefit to the player in the form of easier gameplay (such as the warp pipe in Super Mario Bros.) or additional gameplay features (such as hidden weapons or levels in first-person shooters like Doom) even though they might have criteria similar to achievements in order to unlock, the narrative-independent nature of achievements allows them to be fulfilled without needing to provide the player with any direct, in-game benefit or additional feature. In addition, the achievements used in modern gaming are usually visible outside the game environment (on the Internet) and form part of the online profile for the player (Gamertag for Microsoft's Live Anywhere network, combining Xbox 360/Xbox One titles and also Games for Windows - Live supported PC Games; PSN ID for PlayStation Network (PSN); User Profile Achievement Showcases for Steam; Armory Profiles for World of Warcraft; and Lodestone Profiles for Final Fantasy XIV). 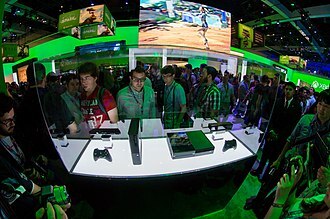 The motivation for the player to gain achievements lies in maximizing their own general cross-title score (known as Gamerscore on Live, Trophy Level on PSN, and the Achievement Showcase for Steam User Profiles) and obtaining recognition for their performance due to the publication of their achievement/trophy profiles. Some players pursue the unlocking of achievements as a goal in itself, without especially seeking to enjoy the game that awards them - this community of players typically refer to themselves as "Achievement Hunters". Some implementations use a system of achievements that provide direct, in-game benefits to the gameplay, although the award is usually not congruent with the achievement itself. One example of such an implementation are "challenges" found in the multiplayer portions of the later Call of Duty titles. Challenges here may include a certain number of headshots or kills and are rewarded not only with the completion of the achievement but also a bonus item that can be equipped. Team Fortress 2 features 3 milestones for each of the nine classes. When a milestone is reached by obtaining a specific number of achievements for each class, the player will be awarded a non-tradable weapon unique to that class. 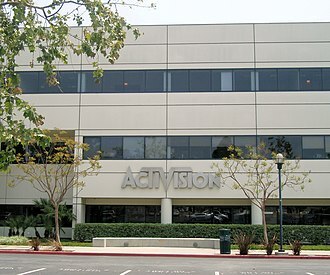 The idea for game achievements can be traced back to 1982, with Activision's Patches for high scores. This was a system by which game manuals instructed players to achieve a particular high score, take a photo of score display on the television, and send in the photo to receive a physical, iron-on style patch in a fashion somewhat similar to a Boy Scout earning a Scout badge. This system was set up across many Activision titles regardless of platform, and though most of their games were on the popular Atari 2600, games on the Intellivision, Colecovision, Atari 5200, and at least one title on the Commodore 64 also included similar instructions with patches as a reward. Patches would be sent with a letter from the company, often written as if from a fictional character, like Pitfall Harry, congratulating the player on the achievement. By the end of 1983, Activision's new games no longer included these achievements, but the company would still honor the process for their older games. The game E-Motion on the Amiga from 1990 was one of the earliest games that had some form of achievements programmed into the game itself. The game called these "secret bonuses". The game had five such bonuses, for achievements such as completing a level without rotating to the right, or completely failing certain levels. A number of individual games have included their own in-game achievements system, separate from any overall platform. 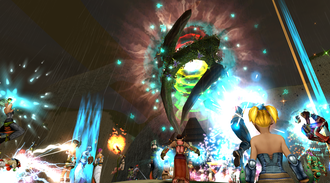 Most modern Massively multiplayer online role-playing games have implemented their own in-game system of achievements; in some cases such as World of Warcraft and Final Fantasy XIV, these achievements are accessible outside the game when viewing user profiles on the game websites and the game may offer an API for achievement data to be pulled and used on other sites. 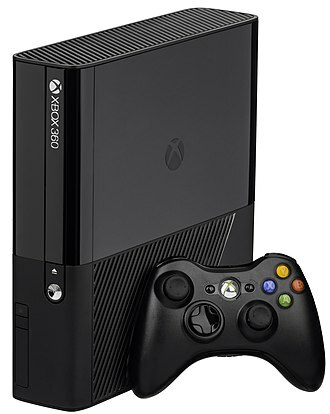 Although many other individual games would develop their own "secret bonuses" and internal achievements, the first implementation of an easily accessible and multi-game achievement system is widely considered to be Microsoft's Xbox 360 Gamerscore system, introduced in 2005. Microsoft extended Gamerscore support to the Games for Windows - Live scheme in 2007 by including support for Achievements in Halo 2. 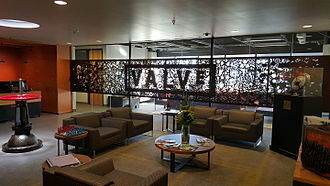 In 2007, Valve became the second large publisher to release a platform-based, multi-game achievement system for their Steam platform, eventually capturing a wide number of Windows, Mac OS X, Linux, and SteamOS based games. 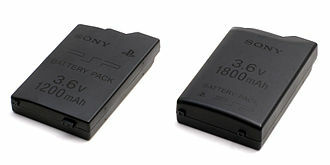 In 2008, Sony followed suit by offering Trophies for the PlayStation 3. 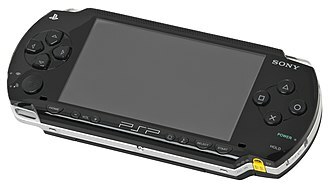 There was no Trophy support for the PlayStation Portable, even though the device does have PSN connection capability. 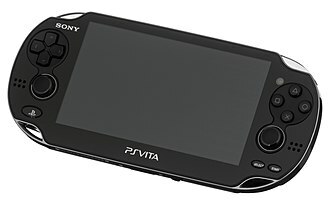 By 2011, The successor to the PlayStation Portable, the PlayStation Vita, and all PlayStation Vita games had universal support for the Trophy system, as well as the later PlayStation 4 and its games. Apple added achievements to Game Center on October 12, 2011 with the release of the iOS 5, for mobile platform for iPhone, iPad, and iPod touch. Achievements are available on Android via Google Play Games. 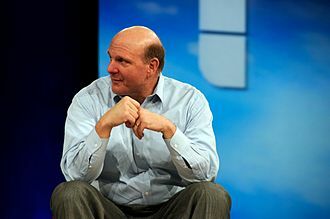 Microsoft's mobile OSes, Windows Phone 7 and Windows Phone 8, included Xbox Live support, including Achievements when first launched worldwide on October 21, 2010. Amazon's Kindle provided the GameCircle service starting July 11, 2012, which tracks achievements and leaderboards for some games adapted to the Kindle platform. Kongregate, a Flash games hosting site, features Badges, which earn the user points, similar to Xbox Live's Gamerscore and PlayStation Network's Trophy system. Much like PSN's Trophies, points work towards increasing a player's level. The site FAQ explains, "Your level will automatically rise as you earn points. We're still working out the details of what kind of privileges and potential prizes that points and levels could be used to unlock." The advent of achievement-driven gaming was satirized in the Flash game Achievement Unlocked. The game is a simple platformer; it takes place on a single non-scrolling screen, and has only simple walking and jumping controls. It has no clearly defined victory condition aside from earning all 100 achievements, from the trivial ("move left", "click the play field") to the complex ("touch every square", "find and travel to three particular locations in order"). The game spawned two sequels. NSA information-gathering program XKeyscore uses achievements awarding "skilz" points to assist in training new analysts as a form of Gamification of Learning. ^ "Hamari, J., & Eranti, V. (2011). Framework for Designing and Evaluating Game Achievements. Proceedings of Digra 2011 Conference: Think Design Play, Hilversum, Netherlands, September 14-17, 2011" (PDF). ^ "AStats - High On Racing - Game Info". astats.astats.nl. Retrieved 2016-06-03. ^ "AStats - Braid - Achievement: Speed Run". astats.astats.nl. Retrieved 2016-06-03. ^ "AStats - Deus Ex: Human Revolution - Achievement: Pacifist". astats.astats.nl. Retrieved 2016-06-03. ^ "AStats - Dishonored - Achievement: Clean Hands". astats.astats.nl. Retrieved 2016-06-03. ^ "The life of a top Steam achievement hunter". pcgamer. Retrieved 2016-06-03. ^ Hernandez, Patricia. "Steam's Hardest Achievements, As Told By A Top Achievement Hunter". Kotaku. Retrieved 2016-06-03. ^ "Activision Badges – The Original Gaming Achievement". Game Informer. Retrieved 2016-06-04. ^ "Good Deal Games - Classic Videogame Games ARTICLE - Activision Patches ( Atari, Colecovision, Intellivision )". www.gooddealgames.com. Retrieved 2016-06-04. ^ "Collector's Corner - Activision Patches Atari 2600". www.digitpress.com. Retrieved 2016-06-04. ^ "Pitfall Harry Letter to Achievement Hunter". ^ "Lemon Amiga E-Motion cheat". Lemonamiga.com. Retrieved 2012-09-21. ^ "Steam Achievements (Concept) - Giant Bomb". www.giantbomb.com. Retrieved 2016-06-03. 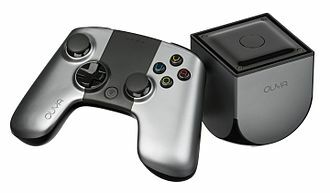 ^ "Amazon launches GameCircle for Kindle Fire to rival Apple's Game Center". thenextweb.com. Retrieved 2015-01-25. ^ "Achievement Unlocked: The Game: You Have To Unlock The Achievement | Kotaku Australia". Kotaku.com.au. 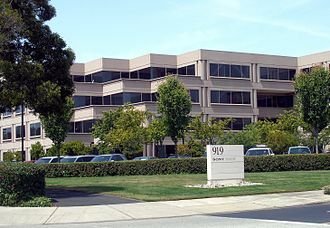 2008-12-20. Retrieved 2012-09-21. The ColecoVision is Coleco Industries second-generation home video-game console which was released in August 1982. The ColecoVision offered an experience to more powerful arcade game systems compared to competitors such as the Atari 2600. Approximately 145 titles in total were published as ROM cartridges for the system between 1982 and 1984, Coleco withdrew from the video game market in 1985, and ColecoVision was discontinued that same year. River West Brands currently owns the ColecoVision brand name, by Christmas of 1982, Coleco had sold more than 500,000 units, in part on the strength of its bundled game. 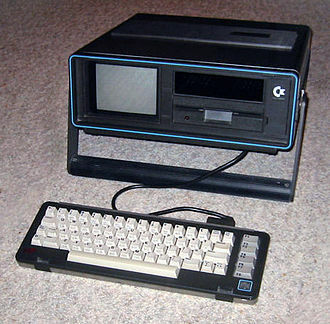 The ColecoVisions main competitor was the more advanced but less commercially successful Atari 5200. The ColecoVision was distributed by CBS Electronics outside of North America, sales quickly passed 1 million in early 1983, before the video game crash of 1983. By the beginning of 1984, quarterly sales of the ColecoVision had dramatically decreased, over the next 18 months, the Coleco company ramped down its video game division, ultimately withdrawing from the video game market by the end of the summer of 1985. The ColecoVision was officially discontinued by October 1985, the video game crash of 1983 has been cited as the main cause of the ColecoVisions being discontinued less than three years after its launch. In 1983 Spectravideo announced the SV-603 ColecoVision Video Game Adapter for its SV-318 computer, the company stated that the $70 product allowed users to enjoy the entire library of exciting ColecoVision video-game cartridges. In 1986, Bit Corporation produced a ColecoVision clone called the Dina, the controllers connect into plugs in a recessed area on the top of the unit. The design of the controllers is similar to that of Mattels Intellivision—the controller is rectangular and consists of a numeric keypad, in place of the circular control disc below the keypad, the Coleco controller has a short,1. 5-inch joystick. The keypad is designed to accept a thin plastic overlay that maps the keys for a particular game, each ColecoVision console shipped with two controllers. All first-party cartridges and most third-party software titles feature a 12-second pause before presenting the game select screen and this delay results from an intentional loop in the consoles BIOS to enable on-screen display of the ColecoVision brand. Final Fantasy XIV, known as Final Fantasy XIV Online, is a massively multiplayer online role-playing game for Microsoft Windows personal computers and published by Square Enix in 2010. It is the entry in the main Final Fantasy series. Eventually, they are embroiled in a plot by a Garlean Legatus to destroy the Primals by bringing one of the planets moons down on Eorzea. The game had been in development since 2005 under the codename Rapture, and was announced in 2009 for Windows and it ran on Square Enixs Crystal Tools middleware engine, which was adjusted to suit the games specifications. During development, the team carried over multiple aesthetic elements from Final Fantasy XI while attempting to create something that stood on its own, due to several factors, the development was beset by problems that would have drastic effects on the game. 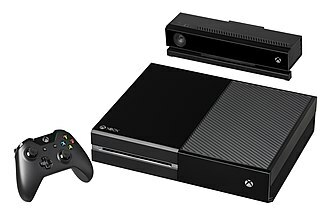 Attempts to bring the game to Xbox 360 consoles fell through due to disagreements with Microsoft about the use of Xbox Live. 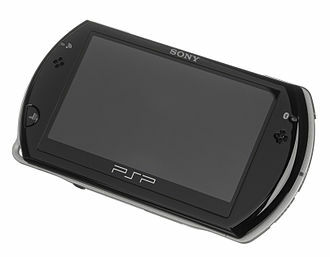 After its alpha test and a beta test, the game went live on September 30,2010. 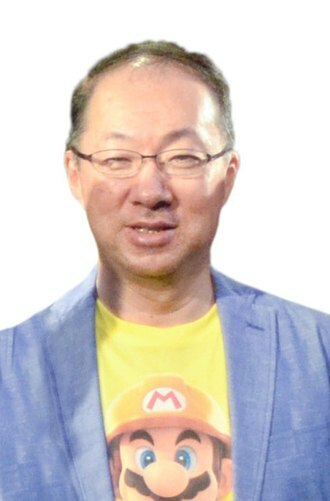 Yoshida decided to make marginal improvements before shutting down servers in favor of Final Fantasy XIV, A Realm Reborn, Final Fantasy XIV is a massively multiplayer online role-playing game in which the player controls a customized Adventurer avatar from one of the five playable races. Each race has two tribes, and all but two allow for the selection of male or female characters, the avatar can have their eye and hair color, facial features, and skin tone customized, and features such as birthmarks and scars can be added. Their chosen tribe, along with their patron deity, affect their stats. The games opening varies depending on which starting location is chosen, leves are broken down into multiple types, focusing on gathering or combat. Levequests are associated with particular non-playable characters, as the player completes leves, they gain favor with three different factions and unlock new abilities, with rewards only coming from the NPCs within the factions who issued the quest. Gaining favor unlocks a new type of level called Faction leves, compared to Final Fantasy XI, where party-based gameplay is forefront at all times, the gameplay in XIV is adjusted so that players can go for longer periods without joining a party. It is the third game in the Deus Ex series, and a prequel to the original Deus Ex. Conversations between characters feature a variety of responses, with options in conversations and at crucial story points affecting how some events play out, an attack on Sarif Industries that apparently kills researcher and Adams ex-girlfriend Megan Reed leaves Adam critically injured. The story explores themes of transhumanism, the power of megacorporations. It uses the series recurring cyberpunk setting and conspiracy theory motif, the open-ended nature of the gameplay was tricky for the team to achieve, and the boss battles ended up be outsourced to another developer due to time constraints. The music, composed by Michael McCann, focused on ambiance and three-layered compositions over character themes, Human Revolution was first announced in 2007, soon after beginning development. Its official title and release window were announced in 2010, after release, a downloadable episode titled The Missing Link was developed, featuring improvements on the original gameplay. A directors cut, featuring improvements and post-release and promotional content, was released in 2013 for the original platforms. Human Revolution received critical acclaim, with going to its player-driven plot, general gameplay. The major criticisms went to its boss fights and recurring technical problems, the directors cut received additional praise for its revamped gameplay elements. Human Revolution spawned a spin-off titled Deus Ex, The Fall, Deus Ex, Human Revolution is an action role-playing game with incorporated first-person shooter and stealth mechanics. Players take the role of Adam Jensen, a man equipped with cybernetic implants called augmentations. Also accessible are black market vendors which supply equipment and weapons for Credits, Interactive objects within environments can be highlighted, although these options are either turned off on the hardest difficulty or can be turned off in the options menu by the player. There are a variety of ways to approach the games situations, players can use a violent approach, Adam can take a stealthy approach, avoiding guards and security devices, again using cover to avoid enemy sight lines. The first-person shooter shares common traits with other shooter games, which in turn fall under the heading action game. From the genres inception, advanced 3D or pseudo-3D graphics have challenged hardware development, the first-person shooter has since been traced as far back as Maze War, development of which began in 1973, and 1974s Spasim. 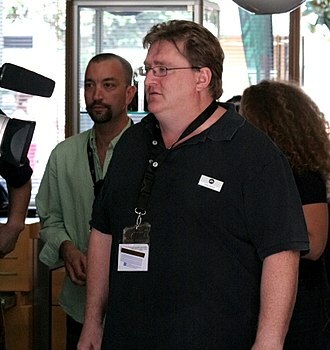 1998s Half-Life—along with its 2004 sequel Half-Life 2—enhanced the narrative and puzzle elements, in 1999, Half-Lifes mod Counter-Strike was released and, together with Doom, is perhaps one of the most influential first-person shooters. GoldenEye 007 was a landmark first-person shooter for home consoles, while the Halo series heightened the consoles commercial and critical appeal as a platform for first-person shooter titles. In the 21st century, the shooter is the most commercially viable video game genre. 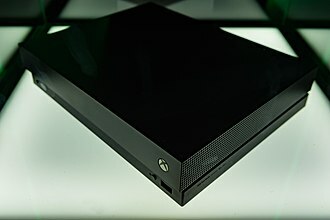 Several first-person shooters have been popular games for eSports and competitive gaming competitions as well, first-person shooters are a type of three-dimensional shooter game, featuring a first-person point of view with which the player sees the action through the eyes of the player character. They are unlike third-person shooters, in which the player can see the character they are controlling, the primary design element is combat, mainly involving firearms. A more important key difference is that first-person light-gun shooters like Virtua Cop often feature on-rails movement, the first-person shooter may be considered a distinct genre in itself, or a type of shooter game, in turn a subgenre of the wider action game genre. Following the release of Doom in 1993, games in this style were commonly termed Doom clones, in time this term has largely been replaced by first-person shooter. Wolfenstein 3D, released in 1992, the year before Doom, has credited with inventing the genre. There are occasional disagreements regarding the design elements which constitute a first-person shooter. For example, Deus Ex or BioShock may be considered as first-person shooters, some commentators extend the definition to include combat flight simulators where the cockpit or vehicle takes place of the hands and weapons. Dishonored is a 2012 stealth action-adventure video game developed by Arkane Studios and published by Bethesda Softworks. It was released worldwide in October 2012 for Microsoft Windows, PlayStation 3, set in the fictional, plague-ridden industrial city of Dunwall, Dishonored follows the story of Corvo Attano, bodyguard to the Empress of the Isles. He is framed for her murder and forced to become an assassin, Corvo is aided in his quest by the Loyalists—a resistance group fighting to reclaim Dunwall, and the Outsider—a powerful being who imbues Corvo with magical abilities. Several noted actors including Susan Sarandon, Brad Dourif, Carrie Fisher, Michael Madsen, Lena Headey, the game is played from a first-person perspective and allows the player to undertake a series of assassination missions in a variety of ways, with an emphasis on player choice. Missions can be completed through stealth, combat, or a combination of both, exploring each level opens new paths and alternatives for accomplishing mission goals, and it is possible to complete all missions, eliminating all of Corvos targets, in a non-lethal manner. The story and missions are changed in response to the violent actions or lack thereof. Magical abilities and equipment are designed to be combined to create new, during its three years in production, several versions of Dishonored were developed. Before the creation of Dunwall—inspired by late nineteenth-century London and Edinburgh—the game was set to place in medieval Japan. Dishonoreds music score was produced by composer Daniel Licht to represent London in the nineteenth century, Dishonored received positive reviews, focusing on the missions individual narratives and the freedom available in completing them. 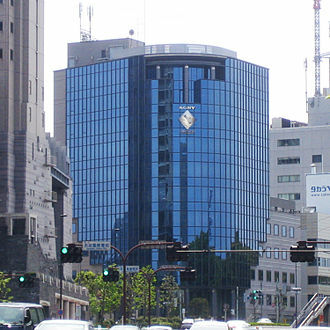 Criticism fell on the narrative, which was considered predictable. Following its release, Dishonored was supplemented with additional content focusing on the assassin Daud, PlayStation 4 and Xbox One versions of the game were released in August 2015. A sequel, Dishonored 2, was released on 11 November 2016, Dishonored is an action-adventure game played from a first-person perspective with an emphasis on stealth action and the use of gadgets and the environment to eliminate opposing forces. The game world is a series of self-contained, mission-focused areas designed for multiple avenues of exploration in terms of in-game movement, in-game areas include loading docks, royal estates, poverty-stricken streets, and a bathhouse. The player can save their progress anywhere, and the game includes a checkpoint save system, the game has four difficulty levels which modify the effectiveness of health and mana potions, and enemies awareness, damage delivered, and responsiveness. In the easy setting, health regeneration is possible, Dishonored features role-playing game elements, such as the ability to upgrade powers and to make moral choices with a focus on non-linear consequences. The game is designed to allow the player to complete it without killing any non-player characters, including boss characters, each mission contains multiple ways to explore and reach targets. The players actions are not judged to be good or evil, but instead are tracked by a system that records the amounts of friendly fire, violence. The Atari 2600 is a home video game console by Atari, Inc. 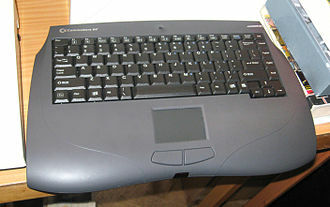 This format contrasts with the model of having non-microprocessor dedicated hardware. The console was sold as the Atari VCS, an abbreviation for Video Computer System. Following the release of the Atari 5200 in 1982, the VCS was renamed to the Atari 2600, after the units Atari part number, CX2600. The 2600 was typically bundled with two controllers, a conjoined pair of paddle controllers, and a game cartridge, initially Combat. 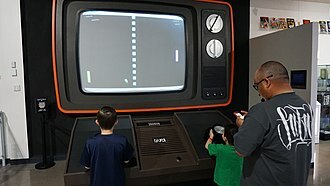 Ted Dabney and Nolan Bushnell developed the Atari gaming system in the 1970s, originally operating under the name Syzygy and Dabney changed the name of their company to Atari in 1972. 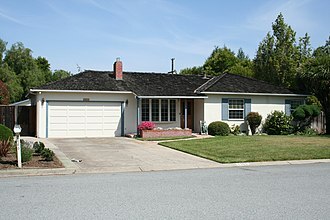 In 1973, Atari Inc. had purchased an engineering think tank called Cyan Engineering to research next-generation video game systems, and had been working on a prototype known as Stella for some time. Unlike prior generations of machines that use custom logic to play a number of games, its core is a complete CPU. It was combined with a RAM-and-I/O chip, the MOS Technology 6532, the first two versions of the machine contain a fourth chip, a standard CMOS logic buffer IC, making Stella cost-effective. 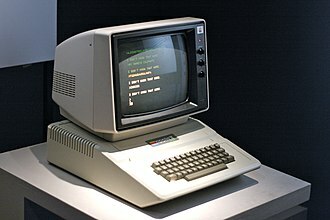 Some versions of the console eliminated the buffer chip, programs for small computers of the time were generally stored on cassette tapes, floppy disks, or paper tape. 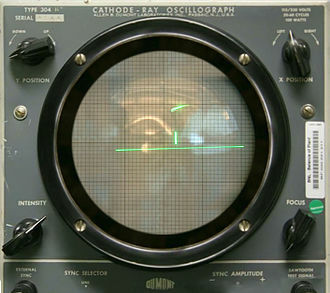 In 1976, Fairchild Semiconductor released their own CPU-based system, the Video Entertainment System. Stella was still not ready for production, but it was clear that it needed to be there were a number of me too products filling up the market. Atari Inc. didnt have the flow to complete the system quickly. Nolan Bushnell eventually turned to Warner Communications, and sold the company to them in 1976 for US$28 million on the promise that Stella would be produced as soon as possible. Key to the success of the machine was the hiring of Jay Miner. 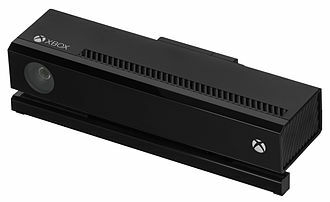 Once that was completed and debugged, the system was ready for shipping, the unit was originally priced at US$199, and shipped with two joysticks and a Combat cartridge. In a move to compete directly with the Channel F, Atari Inc. named the machine the Video Computer System, as the Channel F was at that point known as the VES, for Video Entertainment System. As in all RPGs, the player assumes the role of a character and takes control over many of that characters actions. MMORPGs are played throughout the world, worldwide revenues for MMORPGs exceeded half a billion dollars in 2005, and Western revenues exceeded a billion dollars in 2006. In 2008, the spending on subscription MMORPGs by consumers in North American, World of Warcraft, a popular MMORPG, has over 10 million subscribers as of November 2014. World of Warcrafts total revenue was $1.04 billion US dollars in 2014, Star Wars, The Old Republic, released in 2011, became the worlds Fastest-Growing MMOG Ever after gaining more than 1 million subscribers within the first three days of its launch. Although modern MMORPGs sometimes differ dramatically from their decedents, many of them share the basic characteristics. The majority of popular MMORPGs are based on traditional fantasy themes, some employ hybrid themes that either merge or replace fantasy elements with those of science fiction and sorcery, or crime fiction. Still, others draw thematic material from American comic books, the occult, often these elements are developed using similar tasks and scenarios involving quests and loot. In nearly all MMORPGs, the development of the character is the primary goal. Traditionally, combat with monsters and completing quests for non-player characters, the accumulation of wealth is a way to progress in many MMORPGs, and this is traditionally best accomplished via combat. The cycle produced by these conditions, combat leading to new items allowing for more combat with no change in gameplay, is sometimes referred to as the level treadmill. The role-playing game Progress Quest was created as a parody of this trend, eve Online trains skills in real time rather than using experience points as a measure of progression. In some MMORPGs, there is no limit to a player’s level, MMORPGs that use this model often glorify top ranked players by displaying their avatars on the game’s website or posting their stats on a high score screen. 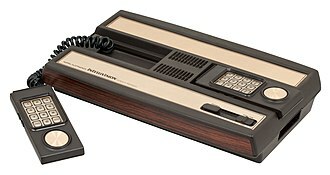 The Intellivision is a home video game console released by Mattel Electronics in 1979. 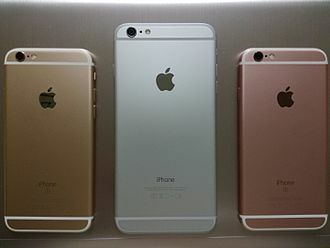 Development of the began in 1978, less than a year after the introduction of its main competitor. The name Intellivision is a portmanteau of intelligent television, Games development started in 1978 and continued until 1990 when the Intellivision was discontinued. From 1980 to 1983 over 3 million Intellivision units were sold, in 2009, video game website IGN named the Intellivision the No.14 greatest video game console of all time. It remained Mattels only video game console until the release of the HyperScan in 2006, the Intellivision was developed at Mattel in Hawthorne, California along with their Mattel Electronics line of handheld electronic games. Mattel Electronics becoming a subsidiary in 1981, the Intellivision was test marketed in Fresno, California in 1979 with a total of four games available. It was released nationwide in 1980 with a tag of US$299, a pack-in game, Las Vegas Poker & Blackjack. Mattel began investigating a home game system in 1977. 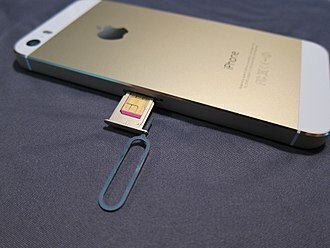 It was to have rich graphics and long lasting gameplay to distinguish itself from its competitors, Mattel identified a newly designed chipset from National Semiconductor and negotiated better pricing for a simpler design. Their consultant, APh Technological Consulting, suggested a General Instrument chipset, the GI chipset lacked reprogrammable graphics and Mattel worked with GI to implement changes. GI published an updated chipset in their 1978 catalog, after initially choosing National in August 1977, Mattel waited for two months before ultimately going with the proposed GI chipset in the fall of 1977. 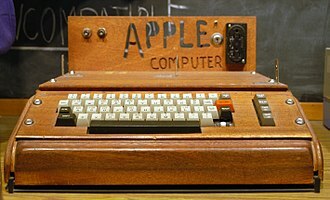 A team at Mattel, headed by David Chandler began engineering the hardware, in 1978, David Rolfe of APh developed the executive control software and with a group of Caltech summer student hires, programmed the first games. 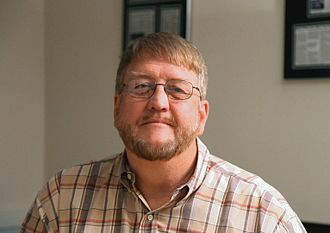 Graphics were designed by artists at Mattel that included Dave James, though not the first system to challenge Warner Communications Atari, it was the first to pose a serious threat to the market leader. Artwork created by David Hellman for advertising Braid. The broken hourglass and collapsing sandcastle represent some unique game concepts. The ColecoVision's controller featured a numberpad that could be fitted with overlays. The inside of the ColecoVision with RF shielding removed. The ColecoVision ran off the Z80A, a commonly used CPU in other game systems.